I want to send a very special thanks to our Celtic Legends. These generous people pledge $10 or more per episode so that you get to hear this show each and every week. Thank you to Bryan Brake, Nancie, Hunter Melville, John Bilderback, Kevin Long, Annie Lorkowski, Derek Lineberry, Lynda MacNeil, John Sharkey White II, Theresa Sullivan, Shawn Cali. You are are incredible! Head on over to BestCelticMusic.net/shop/ and you will find our online store that includes compilation CDs, our 2018 t-shirt, the 2018 Sainted Song Henger Collection, and our podcast stickers. All of these items help to keep this show running. You can show your appreciation for what we are creating here, by buying something today. I started a new Spotify playlist a couple weeks ago. When you vote in the Celtic Top 20, your vote will not only help determine who is in next year's Best Celtic Music episode of 2018, but you'll also be able to add songs from each show to that playlist. I'm updating it almost every week. This is another way to have fun with me on Spotify. D.L. 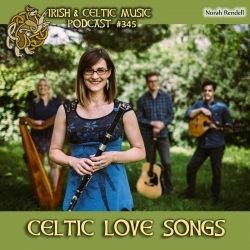 Lovell tweeted: "I have listened to every podcast from Irish & Celtic Music Podcast. I intend to share every single one to spread the word as I'm proud of my Irish/Scottish heritage. I didn't share the episode where the lady sang 'Feline song' for obvious reason by that was an exception"
Thistle-Evelyn emailed a picture: "I joined an app called "Happier" and one of the fellas on there mentioned your podcast. I have never listened to a podcast - I didn't know how to even access one. To come across this Celticpodcast!...?? lovely! What am I doing? 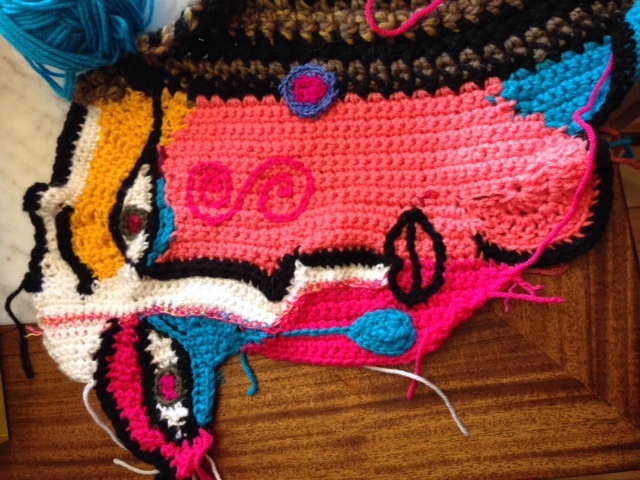 I am scrumbling!...aka doing free-form crochet. Thanks so much for your music ?? I needed this today on a cold blustery day in Northeast Vermont."